Select your state of residence; select ‘Other’ if your place of residence is not listed. Refer to this travel insurance glossary to help you understand your Faith Ventures travel insurance coverage. Note: Faith Ventures travel insurance plans do not automatically include Liability and K&R coverage. Trip Cancellation coverage is optional and must be purchased separately. Travel insurance is relatively inexpensive, and Faith Ventures plans have no deductible. It’s a small investment to avoid a potentially disastrous financial situation. Many insurance companies give policyholders some coverage abroad, but the coverage is often limited. Make sure you know the details of your specific policy. Some policies only cover medical expenses incurred at pre-approved hospitals, which may not be accessible. Some policies only cover medical emergencies, and not regular medical care you may need. Very few policies cover medical evacuation back to the U.S., which can easily cost over $10,000. In general, international medical costs can be significantly greater than medical costs in the U.S., and your existing healthcare insurance may not be enough to cover them. Travel insurance can function as primary or secondary coverage. If you’re traveling to a dangerous political climate, a remote location far from medical facilities, or a developing country without modern hygiene standards, you are much more likely to be in need of travel protection. Likewise, consider purchasing travel protection if you plan to engage in strenuous physical labor or risky activities. Trip cancellation and interruption coverage is most helpful for those booking and pre-paying for their trip in advance, when it’s impossible to foresee what might occur to cancel or delay your trip. Expensive plane tickets, tours, or accommodations are also smart to insure. 1. Limits to trip duration. Double check each policy to see how many consecutive travel days you’ll be covered for. Depending on your policy, if you go over that limit you risk not having coverage for those extra days – or worse, invalidating your policy. Be sure you know exactly how much coverage you have and what it’s for. The last thing you want is to be stuck with a doctors bill or loss of personal items only to find out that you don’t have the appropriate coverage for reimbursement. Emergency medical evacuation and repatriation of remains are gloomy to think about but in the event they’re needed they can save a life or save a loved one a lot of time and money. Check your policy options and find out what the exclusions are for pre-existing conditions. If you’re treated for an illness or injury on a regular basis you’ll want to take that into special consideration before purchasing a policy. Compare Faith Ventures plans here. Schedule of Coverages & Services – Look here to see exactly what you’re covered for. Make sure the maximum dollar amount seems reasonable for your travel needs. List of Definitions – Refer back to this section if you come upon a capitalized term in the policy that needs further definition. Summary of Coverages – This section includes details on each area of coverage, including Trip Delay, Baggage & Personal Effects Loss, Baggage Delay, Passport Replacement, Medical Expense Benefit, Emergency Evacuation & Repatriation of Remains, and Accidental Death & Dismemberment. Look especially for notes on proper procedure. General Exclusions – This section is very important to read carefully. Find out what the plan doesn’t cover: losses caused by or resulting from the listed items. General Provisions – These are miscellaneous regulations that apply to the protection plan contract, mostly legal related. Claims Provisions – Very important! This section describes Arch Insurance’s claims process. Security Assistance Services – Provides a description of Political Evacuation and Natural Evacuation coverage and exclusions. Travel Assistance & Concierge Services – This section details the 24/7 medical and travel assistance services that are provided with Faith Ventures. Contact Info – Refer to the last page of the description of coverage for the 24/7 emergency contact phone number and travel assistance hotline, as well as numbers for claims inquiries and policy questions. Do you need to add on Liability or Kidnap & Ransom coverage? The Faith Ventures program offers excellent coverage for emergency medical expenses, medical and security evacuation, travel delays, and more. But you may also want to consider adding coverage to your trip that protects against liability claims like emotional injuries, false arrest, and foreign lawsuits that are a result of bodily injury, property damage, or religious communication. When planning a mission trip, it’s important to think about the possibility of an accident, emergency, or lawsuit. You’ll want to make sure your ministry and your mission travelers have the liability insurance coverage they need. Learn more about liability coverage here. In addition to liability insurance, an increasing number of mission teams are taking a close look at Kidnap & Ransom (K&R) coverage. If a crisis happens, and people are relying on your ministry to bring their loved one home safe, having access to a trained professional that can stand in for your ministry and provide guidance is invaluable. Regardless of your ministry’s stance on payment of ransom, K&R coverage includes the cost of a professional negotiator to coach you through every step of an emergency, should one of your mission team members be kidnapped. Learn more about K&R coverage here. What is Trip Cancellation coverage? 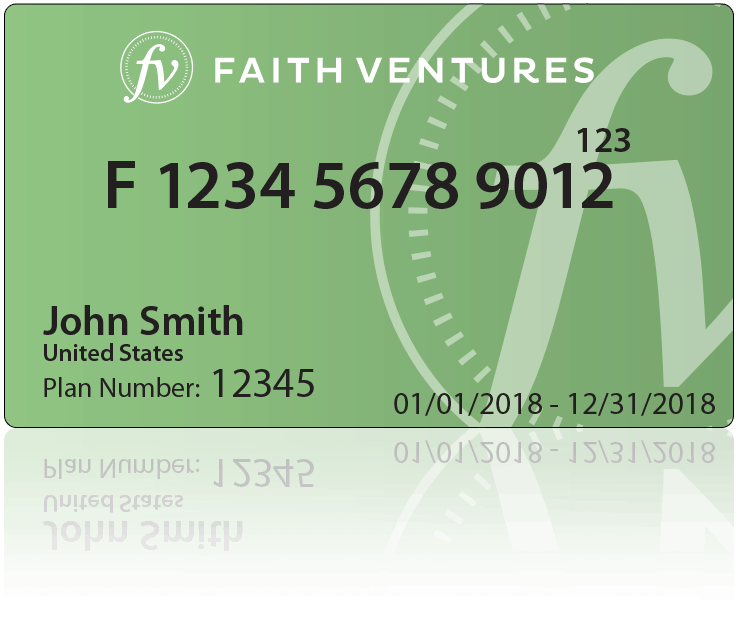 Trip Cancellation and Interruption coverage is available as an add-on to the Faith Ventures card. Trip Cancellation and Interruption coverage reimburses the money you lose if your trip is cancelled or cut short for a sudden, unforeseen reason. Learn much more about Trip Cancellation plus how to purchase here. Get info on the nearest embassy or police station. Report loss, theft, or damage to the local authorities. For a delay >12 hours, call 24/7 travel assistance. Keep track of receipts for accommodation, etc. I get in an accident? Get info on the nearest, safest hospital. Keep track of all medical bills and reports. Contact the courier at fault. Submit a claim to the courier. Forward your claim to Travelex. Report theft to local authorities. Watch for official declaration of disaster. Transportation to safe haven will be arranged. Request business or concierge services. Get translation services, pre-trip info, restaurant recommendations, etc. I need to cancel my plan? After purchase, there is a 10 day “free look” period. Call Faith Ventures to cancel/change within 10 days. Not valid if you’ve already departed or a filed a claim.